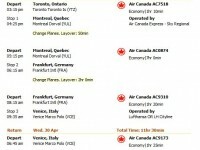 The medium price of a flight from Los Angeles to Venice is around $1,496. It’s useful to know that you can probably anticipate to receive approximately 12 thousand award miles for a flight on this route. A flight from Los Angeles to Venice will be about $1,311 during low travel season whilst it rises to $1,713 through high season. Good to know that the cheapest airfare discovered in the past year is great too, as little as $820 round-trip for a Turkish Airlines flight found for November 2012 on Faregeek. Peak season is normally June to September in Venice so airline tickets are likely to get truly costly in that period with ticket prices rising as high as $1,713. Assuming that you would ever be hunting for budget prices, we advise you leave during April, May and October, for low season, because than airlines tickets become more affordable. We consider that generally the ideal period to fly to the city from Los Angeles is between low and high season, during November to March. The main airport in the city, Venice Marco Polo Airport, is located approximately 9 miles away from the city center. The minimum distance between Los Angeles and Venice is 6,136 miles long, it is a 1 hour trip. Los Angeles is linked to 142 distinct airports in total. 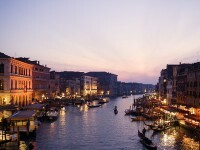 The area of Venice is served by 2 airports, that are Venice Marco Polo and Venice Treviso Airport. The longest flight coming into Venice Marco Polo is 4,440 miles long and it takes off in Sabiha Gokcen, Istanbul.